1. Don’t you love to hear a good story? I know I do! 2. The Bible is the story of God. (PICTURE – The Story…)To understand the Bible, you need bifocal lenses, because two perspectives are involved. The Lower Story, our story, is actually many stories of men and women interacting with God in the daily course of life. The Upper Story is God's story, the tale of his great, overarching purpose that fits all the individual stories together like panels in one unified mural. 4. Jesus was the Master story teller. Jesus’ stories reveal His heart. They tell His autobiography & the autobiography of God. 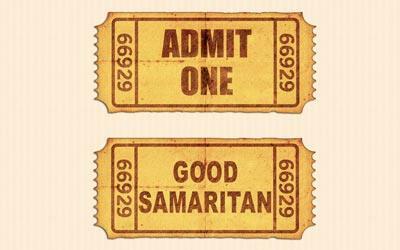 Do you want to know how God feels about people being a good neighbor, read the story of the Good Samaritan. Do you want to know how God feels when someone who is lost finally finds home again? 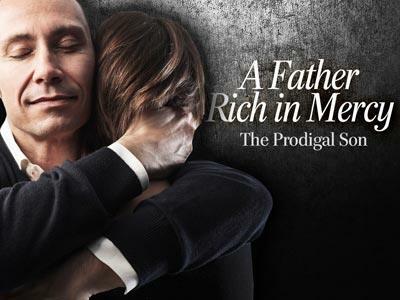 Read the story of the Prodigal Son. Do you want to know how Jesus feels about people obeying His teachings? Read the story of the house built on the rock or sand? 6. Jesus is now ministering to the largest crowd that has ever followed Him. In fact, the crowd is so large that Jesus gets into a boat and uses it as a pulpit to teach the people who have gathered on the seashore. However, He has also been rejected by the very nation He came to preach to – Israel. As a result, Jesus begins to teach the multitude almost exclusively in Parables. 7. This parable has been often called “the Parable of the Sower” but is probably more accurately described as "The Parable of the Soils." 8. It was told by Jesus to illustrate different reactions that people have to the gospel. Jesus told at least 30 parables in the Synoptic Gospels. That is over 1/3 of all His recorded teaching. That being the case, it is important that we understand what a parable is. a. The purpose of any parable was for Jesus to teach important truths about Himself, the Father & the Kingdom of God. b. The word “parable” means “to cast alongside of.” In a parable truth is cast alongside life & life interprets the truth. In other words, a parable takes the common, everyday events of life & uses them to illustrate the deep things of God. 1. To reveal or conceal truth, depending upon the hearers. 2. Vs. 11-12 – these have to be the most “Seeker unfriendly” verses in the Bible! 3. 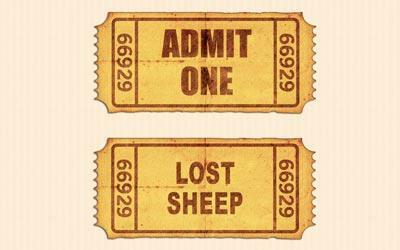 Jesus used parables to reveal truth to those who were open to what God was saying & to conceal truth from those who had closed their minds to what God was saying. 4. They were much like our two way mirrors of today, they concealed to one group while revealing to another. 1. Jesus rarely interprets His parables, but He does interpret this one. a. Why this one & not others? 1) The disciples asked Him too – vs. 10. 2) According to Jesus (vs. 13) this is a foundational parable that is the key to understanding all of His other parables. b. **The Law of 1st mention. 2. There is only 1 key interpretation per parable. a. We must be careful when we try to interpret the parables in the Bible. Some people make the mistake of trying to make every single twist in the parable mean something spiritual. As a result, many false doctrines & foolish teachings have sprung to life. b. A parable is designed to teach one primary truth. When that truth is understood, the parable becomes clear. What is the example from life that Jesus’ uses to teach this parable? A. The Sower – Jesus (Matthew 13:37) or anyone who shares the gospel message. 2. A “sower” was a farmer planting his crop. He had no machinery so he used a leather bag strapped around his shoulder to carry his seed. He then liberally “tossed” the seed all around his field in hopes that some would take root & grow into a crop. He knew not all the seed would grow, but some would.